Google Music, Movies and Ice Cream Sandwich: Awesomesauce or Hot Air? 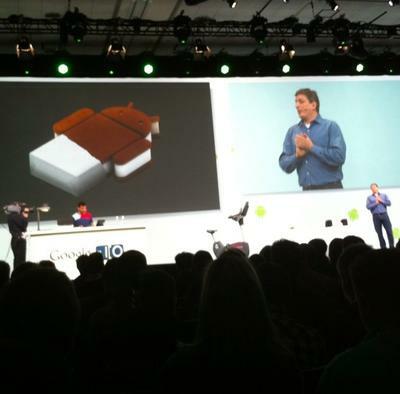 Google’s Keynote this morning at Day One of I/O was easily the best Google presentation I’ve ever seen. From a pacing, delivery and excitement-generation standpoint, Google pretty much nailed it, raising their game to a new level of slickness (bad haircuts notwithstanding) while still honoring their “Geeks Shall Inherit the Earth” roots. The anti-Apple potshots were kept to a minimum, the geek humor went over well, and the combination of slick visuals and nerdtastic demos was potent in this morning’s 51 minute address. Style is one thing, though, and substance quite another. While there’s little disputing the unbridled joy expressed by the 5,000 or so I/O attendees when they found out they’d be going home with Galaxy Tab 10.1s, courtesy of Google and Samsung, the reactions to the rest of Google’s announcements warrant more scrutiny. Music and Movies, Honeycomb and Ice Cream Sandwich, Android @ Home and Android Accessories: Google talked about a lot of stuff this morning, but how much of it was really buzzworthy? These were the biggies, though none of them will really make an impact on consumers for at least a few months. 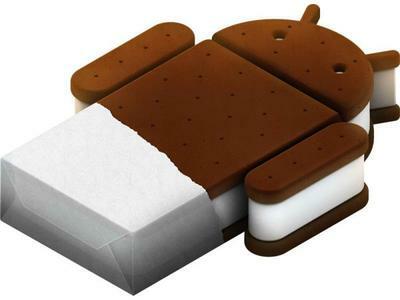 Ice Cream Sandwich will be the next major Android OS release, and the one that promises at long last to end (or at least curtail) platform fragmentation. If ICS can make good on its promise to bring a uniform experience to consumers and developers, across smartphones, tablets and Google TV boxes, it will go a long way towards pushing Android into the land where Windows used to dwell – a land in which Google’s OS beats at the heart of more devices in more shapes and sizes than anyone can keep track of. We’ll start to find out in the fourth quarter of this year, which is when Google says Ice Cream Sandwich will be released. Android @Home and Android Accessories could also expand the platform’s reach, not by bringing the OS to more devices, but by allowing all of those devices to interface with other hardware in new and interesting ways. From a cynic’s point of view, @Home is “yet another home automation system nobody wanted,” and worse yet, “a way for Google to gather even more personal data without you realizing it.” But the flip side is way more fun, as evidenced by a demo of “Project Tungsten,” a wacky mash-up of hardware that controls the lights in your house while streaming music from the cloud to your stereo system, all from one nifty little Android-controlled box. Accessories, on the other hand, basically bring the world of USB peripherals to Android devices. Like Apple’s “Made for iPhone” initiative, but open source. Game controllers, heart rate monitors, exercise bikes at the gym, robots cobbled together in your garage … the possibilities are endless. Ostensibly the big news today, Music Beta by Google and Google Movies honestly kind of underwhelmed me. Music could be pretty cool, depending on how nicely it’s integrated into Android and how well it works in the field, but on paper it offers less than similar/competing services. Amazon’s Cloud Player arguably offers more features in a similar service and has the value-add of letting users purchase new music directly from their store. Streaming music services like MOG, Napster, Spotify and rdio offer vast libraries of music and other audio for streaming – and, in some cases, locally cached – playback at pretty reasonable monthly rates. But Google hasn’t announced any kind of anything in terms of licensing agreements with big studios or plans to sell music themselves. It’s a strictly BYOTracks model right now. So it remains to be seen how Google’s “cloud-based locker” will fit into Android users’ lives and, perhaps more importantly, advance the platform in consumers’ collective consciousness. Ditto for Movies, more or less. Before this morning I could rent movies online from Amazon, iTunes, Vudu, and a bunch of other stores, and also watch them via subscription-based services including HBO Go, Hulu, and Netflix. Now I can add Google Movies to the list, vis-a-vis a pricing model that’s more or less a mirror of Apple’s own. Makes perfect sense for Google to get into the game, and as I wrote yesterday I expect (or at least, hope) to see some kind of crossover between Google Movies and YouTube Movies in the near term. But I’m not convinced that Google’s committed enough to the content end of selling video to make this a big success. 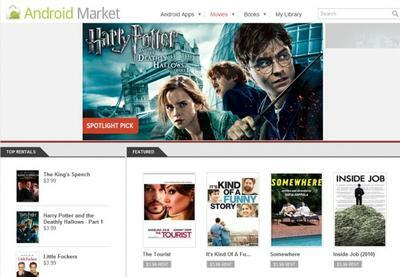 Technology-wise, there’s no doubt Google can pull off the wizardry required to stream HD video to multiple devices/platforms on a 30-day rental basis – it’s just that running a successful movie outlet requires a ton of back-room dealing in order to beat your competitors to the punch in getting hot new releases out to the people. Will they leverage Hollywood studios into deals that suit them, Steve Jobs-style? Will they shell out for exclusive content, Netflix-style? Time will tell. Tomorrow’s a new day, with another keynote on tap. Rumors abound that Day Two will be Chrome Day, though personally I’m hoping to hear a bit more about Google TV. In the meantime, let’s hear from you: Were today’s Google announcements #awesomesauce or just a lot of hot air … or, more likely, somewhere in between?